It’s official. 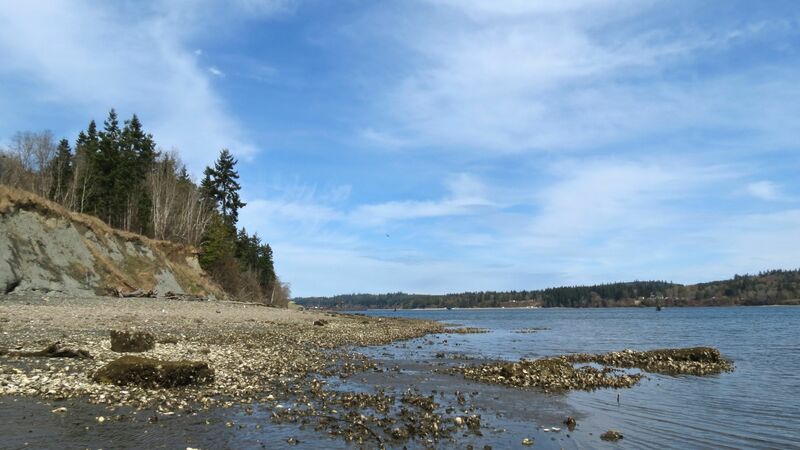 Kitsap County has become the proud owner of 535 acres of prime lowland forest, including 1.5 miles of shoreline on Port Gamble Bay. See the story I prepared for tomorrow’s Kitsap Sun (subscription). This is prime property, both from an ecological and recreational viewpoint. It is extremely rare to find a place where so much shoreline belongs to the public, especially in a populated area like Kitsap County. With restoration work and time for nature to respond, this property could return to a near-pristine condition. This is the first property sale completed by the Kitsap Forest & Bay Project. More than two years ago, I attended a kick-off meeting to launch the fund-raising effort. It all began with an option agreement to buy up to 7,000 acres of forestland from Pope Resources. See Kitsap Sun, Oct. 19, 2012. Other acquisitions are expected to be completed soon, but it remains unclear how much of the 7,000 acres can be acquired from Pope.